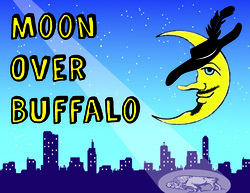 Moon Over Buffalo (Ludwig) is presented by special arrangement with SAMUEL FRENCH, INC. 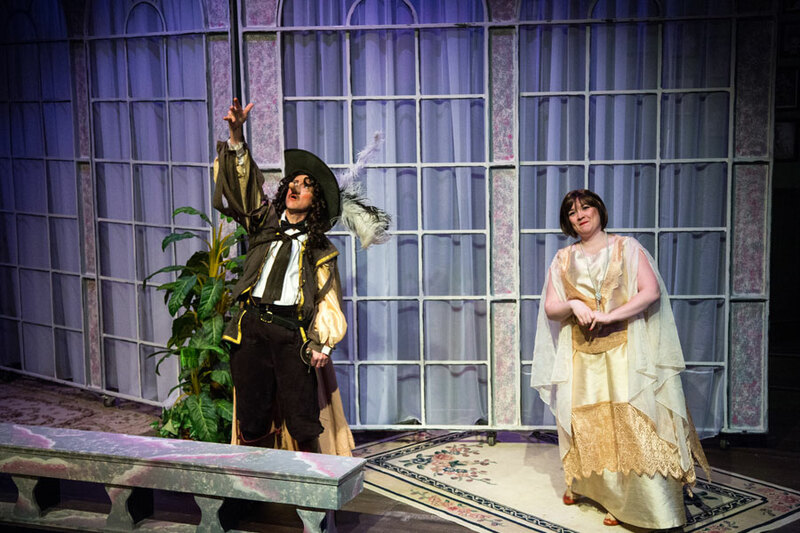 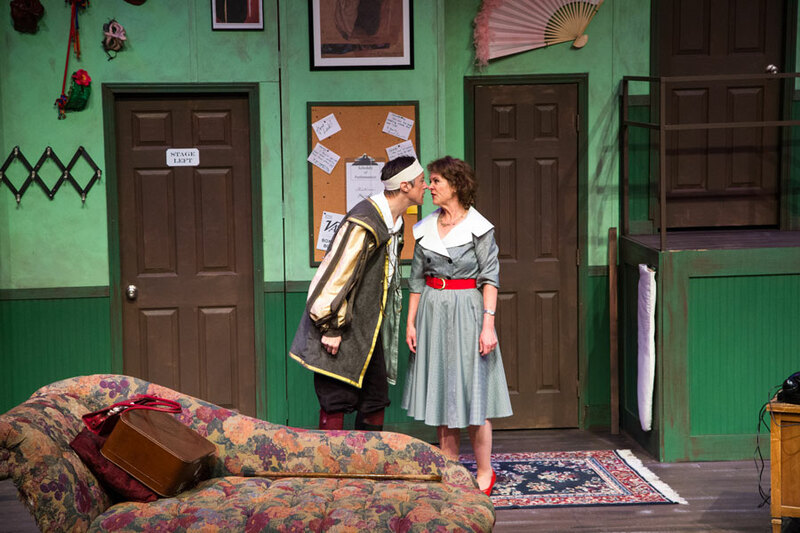 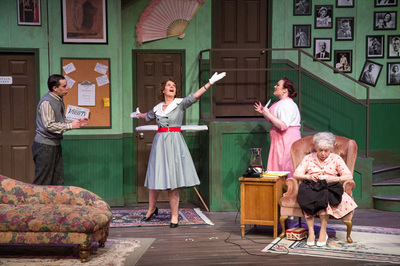 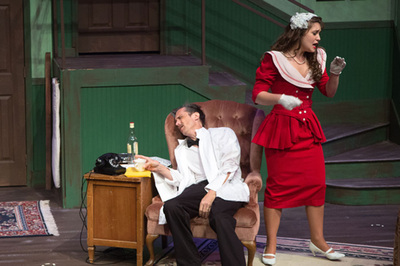 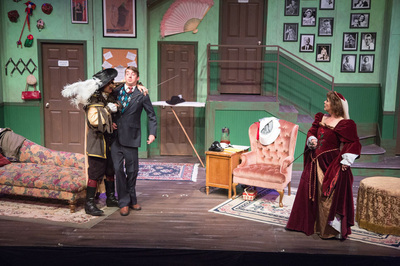 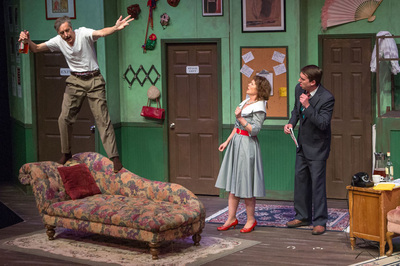 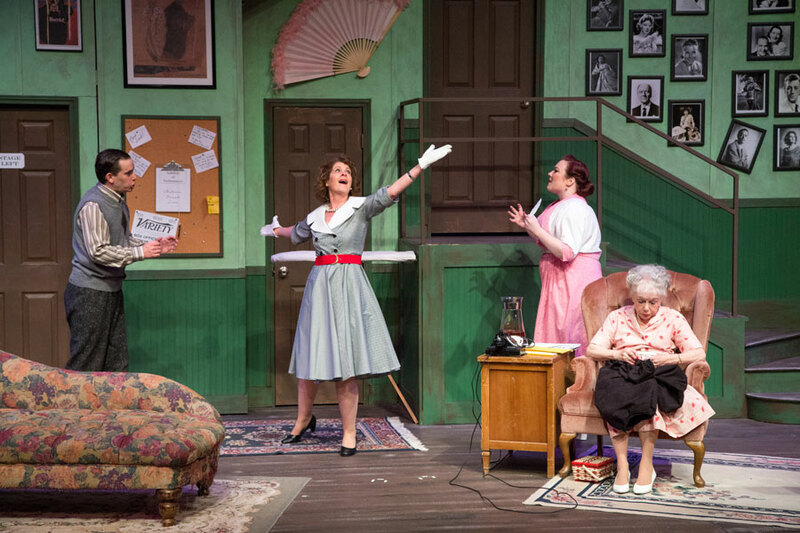 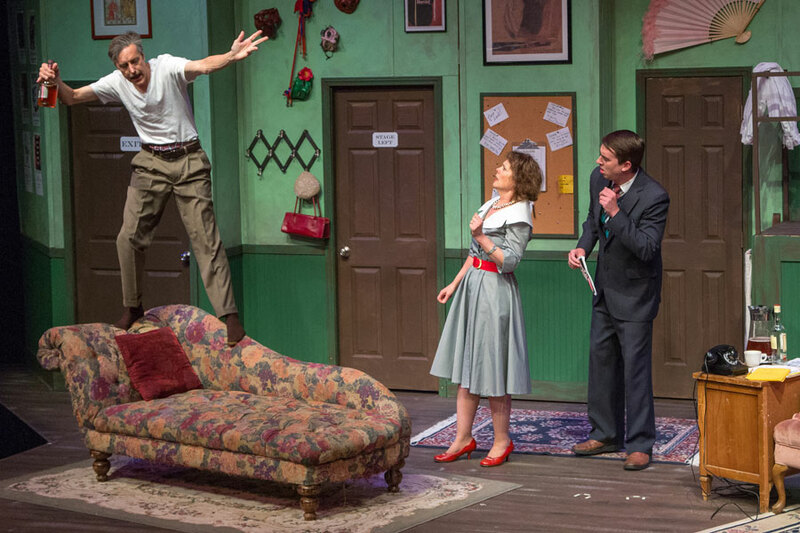 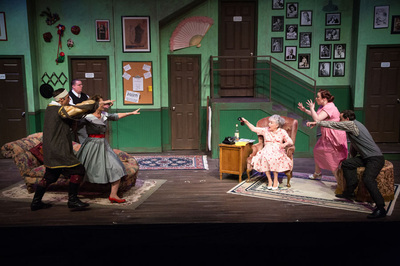 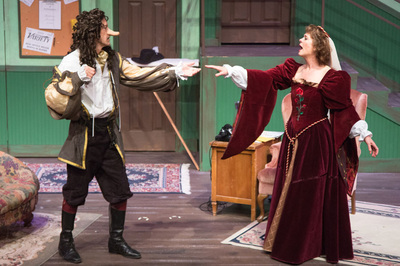 This hilarious play centers around Charlotte and George Hay, who are on tour at the Erlanger Theatre in Buffalo in 1953, with a repertory consisting of Cyrano de Bergerac (“revised, one nostril version”) and Noel Coward’s Private Lives. On the brink of a disastrous split-up caused by George’s dalliance with a young ingénue, they receive word that they might have one final shot at stardom: Frank Capra is coming to town to see their matinee, and if he likes what he sees, he might cast them in his movie remake of The Scarlet Pimpernel. 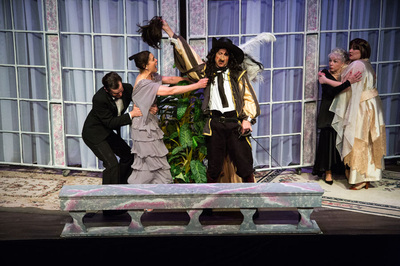 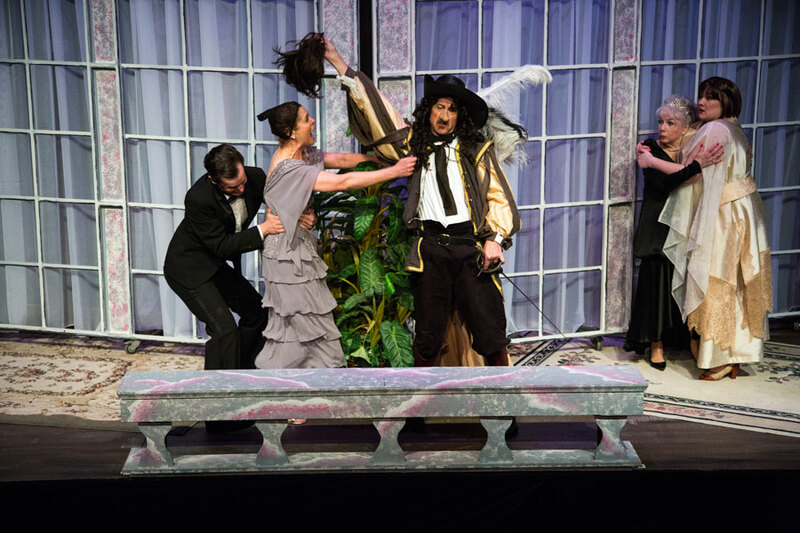 Unfortunately for George and Charlotte, everything that could go wrong does go wrong, abetted by a visit from their daughter’s clueless fiancé and hilarious uncertainty about which play they’re actually performing. 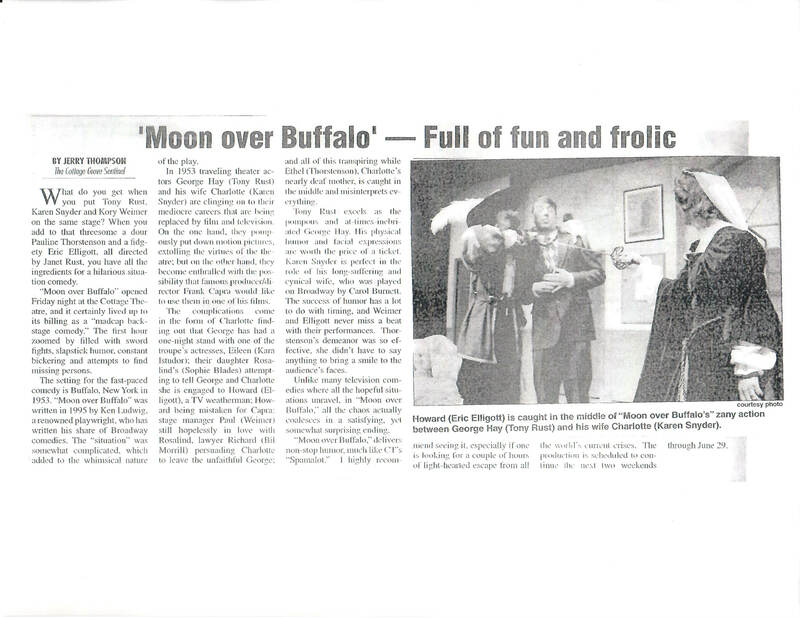 Read the Cottage Grove Sentinel review.